The MasterBox Lite 5 ATX Case is your straightforward option for your PC build that doesn't ignore good looks, customization, or performance. A sleek Dark Mirror front panel and three custom trim colors (included in the box) offer a great first entry point for customization. 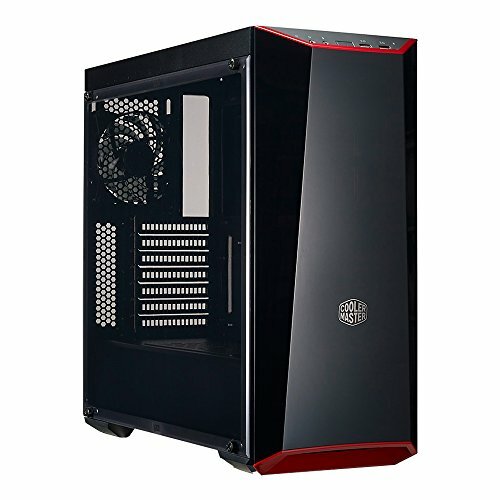 The spacious interior features black coating and a PSU cover that allows for easy, clean configurations for your build. Additionally, it comes with an edge to edge transparent acrylic side panel to show your internal components. And with support for up to 4 cooling fans and a water-cooling system, we ensure your performance will not suffer.